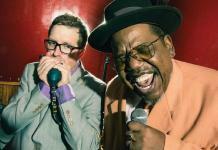 Guy Davis and Fabrizio Poggi pay homage to Sonny Terry and Brownie McGhee. 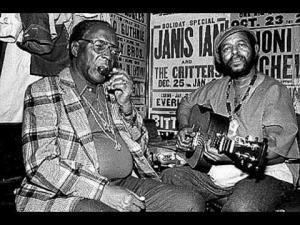 Piedmont Blues artists, and Blues Hall of Fame inductees, Sonny Terry, and Brownie McGhee were a duo for the ages. For nearly 40 years, their combination of acoustic guitar, harmonica, and powerhouse vocals, caused a ripple in the great ocean of music, still felt today. This is country blues, the likes of which one rarely hears anymore. Two veteran masters of their craft, whose years of playing together still display respect to their influences. Not only the guitar, and harp of McGhee, and Terry, but the storytelling prowess of Big Bill Broonzy, and Blind Willie McTell. The cover songs that make up the rest of this fine offering, are all tunes that are known to have been recorded, or performed, by Terry and McGhee, throughout their storied careers. Many date back to the 1930s or before. From Johnnie Temple‘s, “Louise, Louise,” to St. Louis Jimmy Oden‘s, “Goin’ Down Slow,” the songs come from the Carolinas, Chicago, the Delta, and parts unknown. 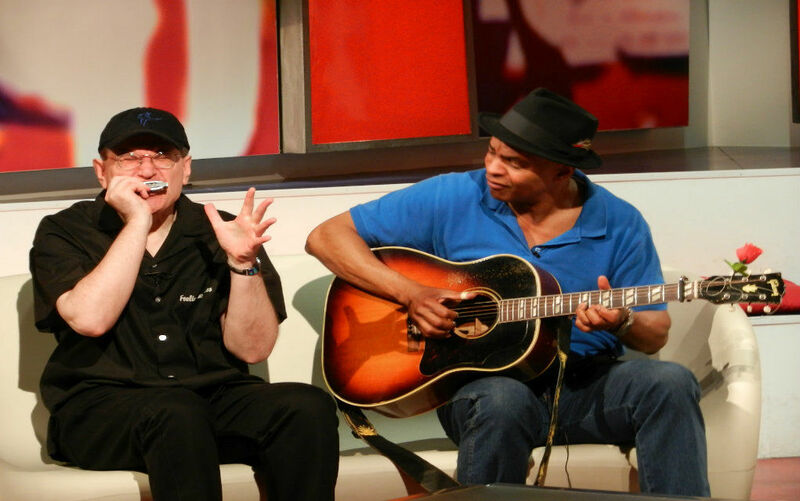 “Shortnin’ Bread,” has been covered by everyone from Al Jolson, to the Beach Boys, but Poggi and Davis bring their foot-stomping, sandpaper voiced version right to our front porch. Although we’re unable to put a finger on a favorite track, “Baby Please Don’t Go To New Orleans,” is certainly in contention. It’s been called, “one of the most played, arranged, and rearranged pieces in blues history.” Inducted into both the Blues Foundation, and Rock and Roll Halls of Fame, this standard takes on new life with some funkified guitar, and harmonica that reaches for the very heavens. On the prison, and railroad work song, “Take This Hammer,” we could feel the hammers, (wop), striking home at the end of each line. The wonted, “Midnight Special,” is delivered simply, and beautifully. 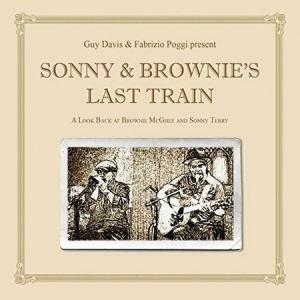 We’ll be the first to admit that Sonny & Brownie’s Last Train isn’t for everyone. 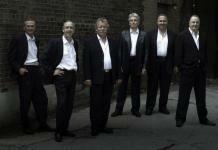 It is, however, for anyone who appreciates acoustic blues from the old school. These are country folk songs, skillfully performed by two artists who love the extraordinary duo from whom they may have first heard them. They shine like polished chrome. Not for the Saturday night, boogie-woogie crowd. It’s for those of us who still enjoy a glass of sweet tea on a Sunday afternoon. If you fit that category, you’ll be doing yourself a disservice by not immediately purchasing this first-rate record.